This cheerful bench seat will definitely enrich any waiting room or kids corner. Children will sit most comfortably on these solid and durable benches with backrest. 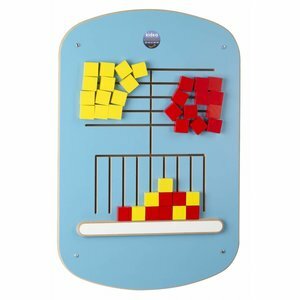 This qualitative play wall puzzle for your playcorner consists of a challenging wall play panel with a puzzle. Children must solve this game which features a jolly cow in a grass-land. This Kids wall game "four-in-a-row" and similar games. 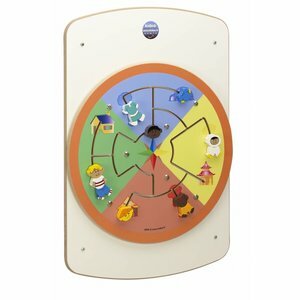 This wall play panel is perfect for waiting rooms and public playcorners. This Kidea panel can be easily mounted to any wall. 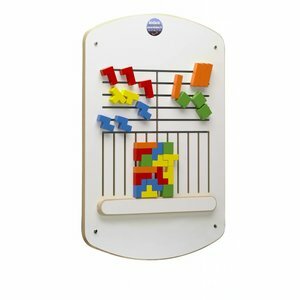 With this play wall system, children will easily spend many hours in your playcorner or waiting room. On this wall play panel they try to shape up correctly many different silhouettes and patterns. Kids wall panel. 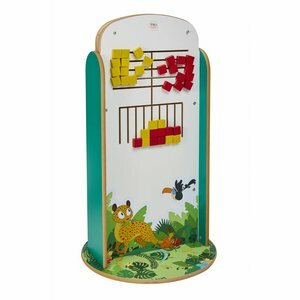 Ideal for your waiting space or playcorner in case you have only limited space at your disposal. Children keep on playing with this highly qualitative kids wall panels. 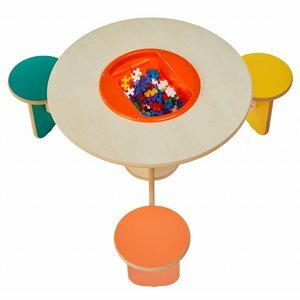 This colourful kids play table with chairs is made from top quality materials. It is equipped with 3 seats that are permanently fixed to the framework of the table. In the middle children find a practical storage bin. This wonderfully designed 3-seater children play table and chairs can be efficiently placed against any wall of your play corner. In the middle of the table children will find their bricks or play materials in a practical storage bin. This round play table offers room to 5 kids or toddlers. All chairs are seemlessly integrated in the furniture. In the middle of this round table two practical storage units are available for bricks, pencils, games and much more. This highly qualitative indoor play system provides children entertainment and fun for many hours in your play corner or waiting room.. On both sides of this play furniture, kids find some very attractive games and puzzles.